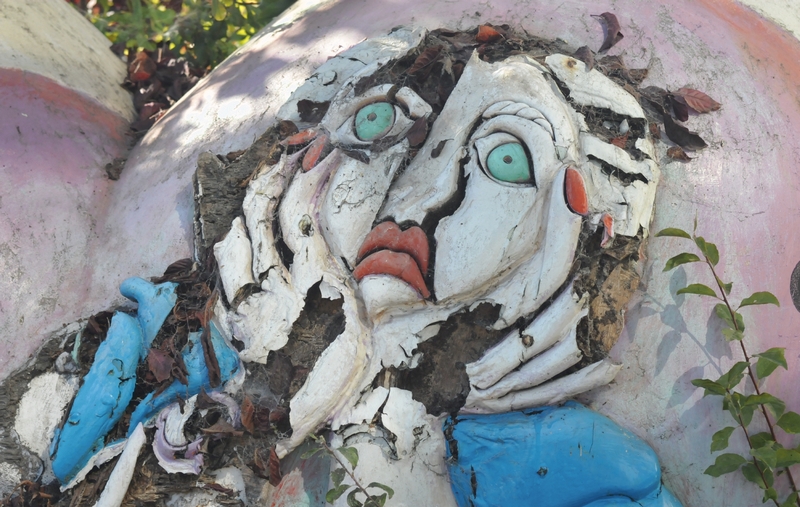 The face on the heart, was slowly falling to ruin as the elements beat on it. We said the artist was unknown because the label on the base was totally hidden. We said the heart was not official because it could not be found on the official site that listed all the official hearts created to date. 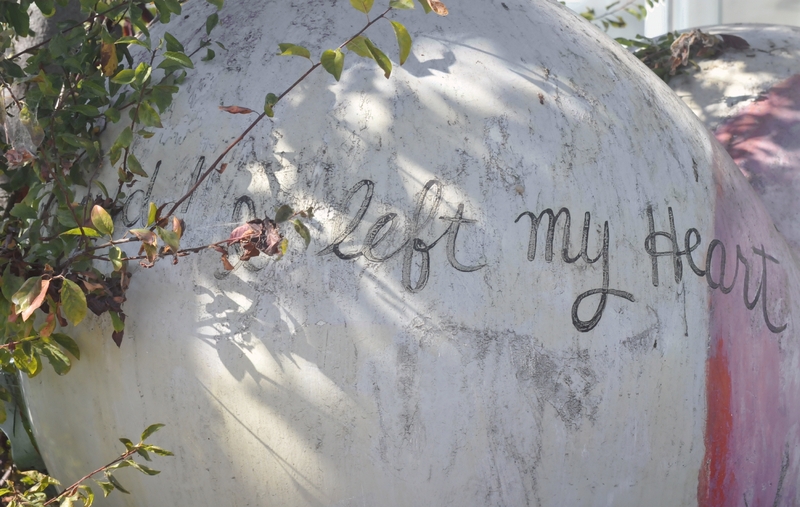 The words, that partly read, ". . .Left My Heart," were obscured by a wildly growing plant and an accumulation of dirt. 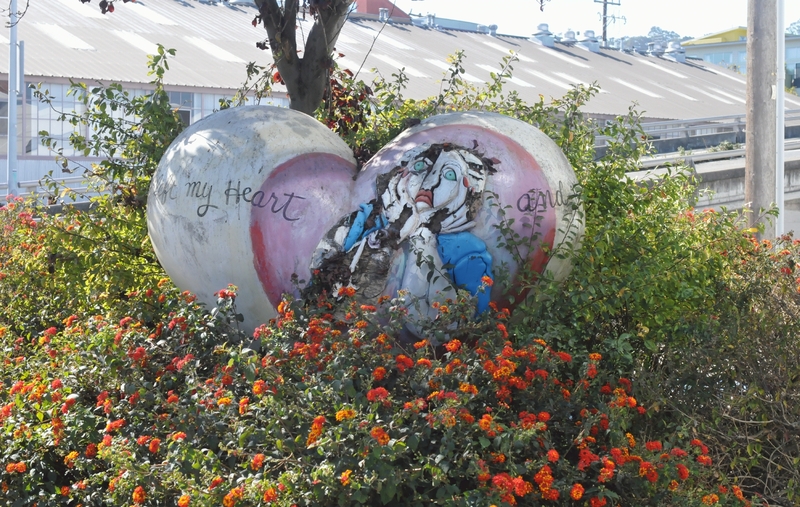 What appeared to be one of the Hearts of San Francisco hearts, was partly obscured by weeds and wild flowers on a street corner in Dogpatch. 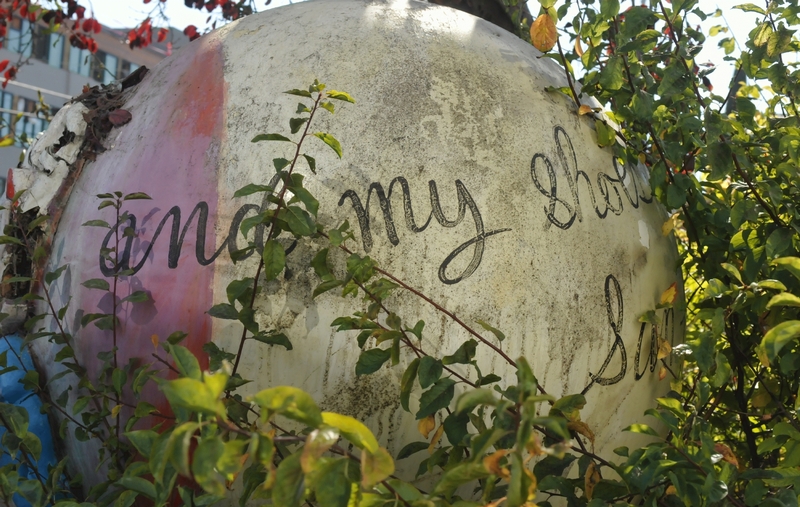 The words on the other side appeared to read, ". . .and my sho. . .," and just a bit of "San" perhaps for "San Francisco." One side of the heart was so totally obscured by plants that it became almost invisible.